I’m happy to share with you today that Patterson Dental has acquired Holt Dental Supply, a full service dental distributor based in Waukesha, Wis. With great pleasure, we welcome Holt Dental employees to the Patterson family as we blend operations into our Patterson Dental Milwaukee Branch. 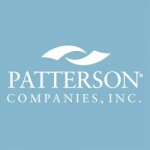 For more details, you can take a look at our press release from Patterson Companies. Holt Dental is a dental distributor of supplies, equipment, and technology that has grown to a prominent position in the upper Midwest dental market. Through our combined operations, dental practices will benefit from additional technology and product offerings that continue to set the standard for the patient experience and practice lifestyle. Holt Dental got its start in 1998 when four dental industry professionals had a vision for a dental supply business that would represent their principles of success: knowledge, reliability and integrity. They grew the business over the years by providing quality supplies, equipment and technology and partnering with customers to help build their success together. I am pleased to inform you that Holt Co-owner and President Paul Holt has joined Patterson Dental, as district sales manager with our Milwaukee Branch. Paul’s career in dental began in 1978, with Saslow Dental. His industry experience and his vision and principles for serving customers helped lead to the creation of Holt Dental Supply in 1998. The addition of Holt Dental Supply employees, our closely aligned cultures and our shared focus on taking care of the customer is great news for dental practices, our employees and the entire Patterson organization. Please join me in giving Paul and our former Holt Dental Supply employees a warm Patterson welcome.